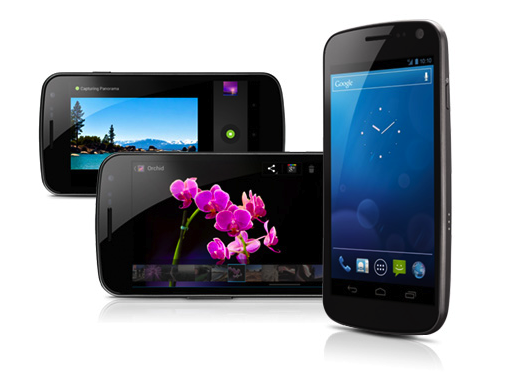 The Galaxy Nexus, also known as Samsung GT-I9250M in other markets, was released in January 2012. It features a dual-core 1.2 GHz processor, a 4.65 inch AMOLED screen with 720x1280 resolution and a 5MP camera. Connectivity to the AppRadio 2 is done using the phone's MHL port. 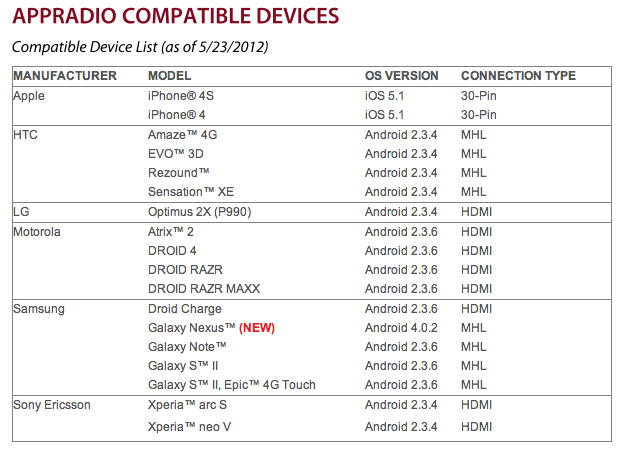 All other Android phones compatible with the AppRadio 2 run Android 2.3.4 or 2.3.6. The list from Pioneer is an official device list. There have been instances of phones, other than the ones on the above list, working with AppRadio 2. Even the need for buying the official Pioneer Android Connection Kit (CD-AH200C) has been questioned. Some people have managed to get their phones to work using third-party cables which cost way less than the $100 price tag on the official kit. Most details in these regards are still sketchy. Mines running fine on a Galaxy Nexus running 4.0.4. It works great with a MHL adaptor off ebay. The Razr and Razr Maxx have Ice Cream Sandwich as well. They were updated last month by Verizon. Can't speak for any other carrier. My wife has a Razr and I have a Maxx. Both of which got the ICS pushed by Verizon last month (May 2012). Did you have to do anything about the firmware on the radio? I have the RAZR Maxx and it will not work. Has anyone tried it with galaxy nexus and 4.1 jelly bean? Is this the reason I cannot use the appradio's touch screen to control my phone? I have a LG Viper with Android 4.0.4. Will this work?